With Halloween and Thanksgiving fast approaching, it’s almost time for two of North Central Church’s annual events at Donlin Drive Elementary (DDE): Trunk or Treat and Thanksgiveaway. DDE is one of nine elementary schools in the Liverpool Central School District. It is an amazing community of educators and families working together to make a difference in children’s lives. The school’s makeup includes families that speak 19 different languages and truly have come to live in Liverpool from all over the world. DDE consistently welcomes several temporary military families per year that are in Syracuse for special assignments. In addition, just over half of the 500 students live at or below the poverty line. All of these uniquely diverse and hard-working families and school staff members strive every day to enrich the lives of the children. Three years ago, DDE was ‘adopted’ by North Central Church and has been blessed by the multitude of ways that the congregation has fed bellies and warmed hearts. Staff members have been welcomed back to school for the last three years with a wonderful barbeque, the PTO and district professionals have ‘borrowed’ church space several times for events and any time DDE needs a hand, North Central Church’s is outstretched to help meet the school’s needs. Two autumn events that support DDE are Trunk or Treat and the Thanksgiveaway bags. 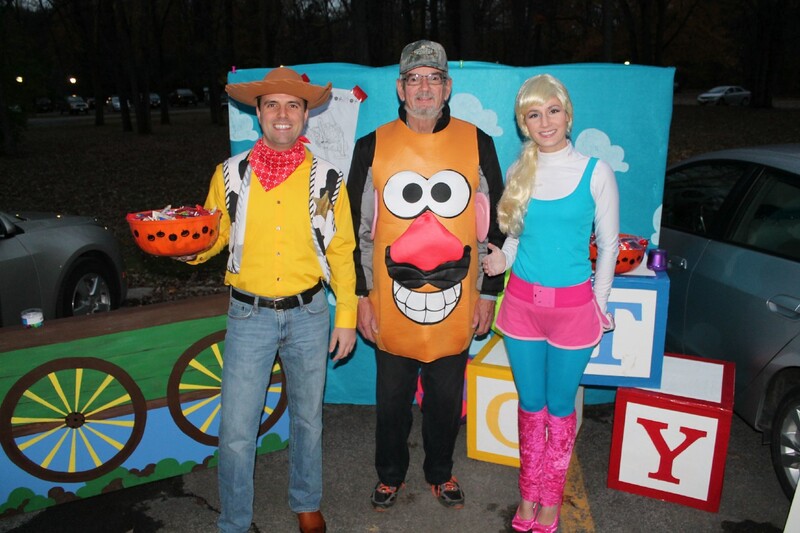 Trunk or Treat is a wonderful opportunity for families to have fun and laughter on ‘school territory’ while trick or treating at cars with decorated trunks in the school parking lot. The children and staff members have already begun talking about the event for this year and how they plan to participate or attend respectively. Another heart-warming and belly-filling event that supports the school community is the Thanksgiveaway bags at Thanksgiving. 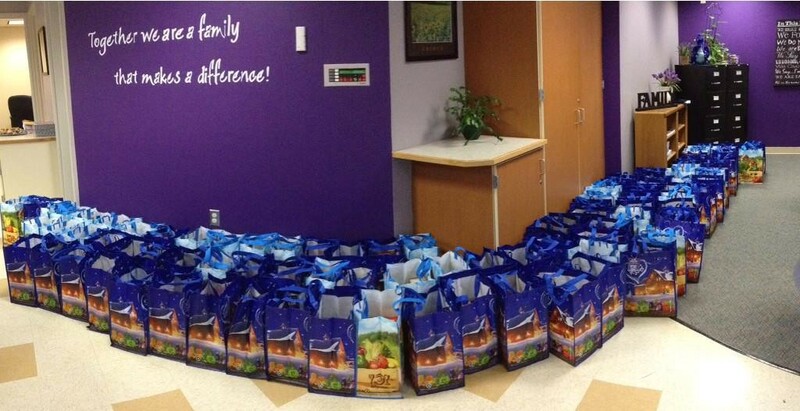 Last year almost 100 families received a Thanksgiving dinner! North Central Church provided turkeys, pies and all of the fixings for DDE families, some of whom have never experienced this American tradition. 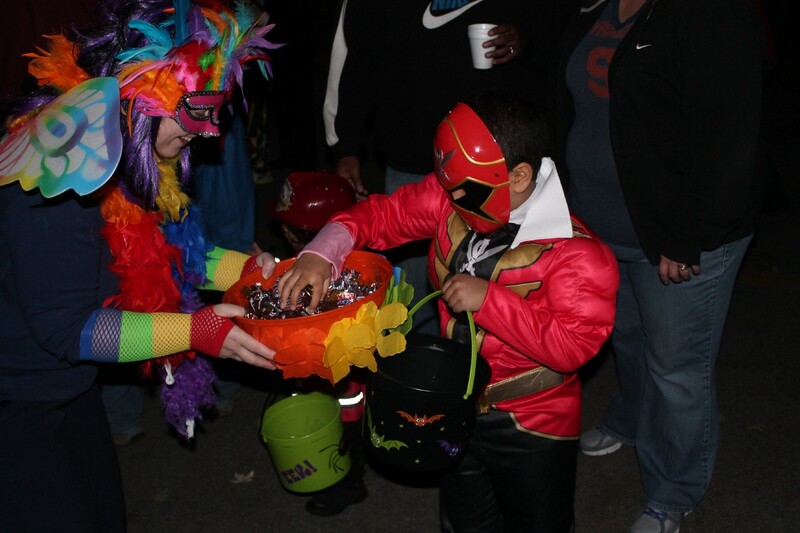 The glow of happy faces at Trunk or Treat is a blessing for the students, and the smile of relieved faces at the Thanksgiveaway pickup is a blessing for the parents. North Central Church has systematically impacted DDE students, their families and staff members in a way that is life changing. When adults are asked to discuss fond memories of their childhood, they respond with tales of fun, engaging events and with the tender moments of kindness in the midst of hardship. Thank you for the fun, engaging events as well as the tender moments of kindness in the midst of hardship. North Central Church is a truly generous and kind community that has touched the school deeply forever. Every opportunity for outreach is an opportunity to positively impact the DDE community.